We’re excited that our Insider’s Japan tour was recently featured in the Boston Globe. On this hands-on, (and occasionally, shoes-off) cultural adventure, we visit dynamic Tokyo, the cultural capital of Kyoto, ancient Takayama, the castle town of Kanazawa, the 8th-century capital of Nara, and scenic Mt. Fuji. Once reserved only for royalty, the scenic Burgundy and Rhone-Rhine Canals now offer intimate encounters with rural life. 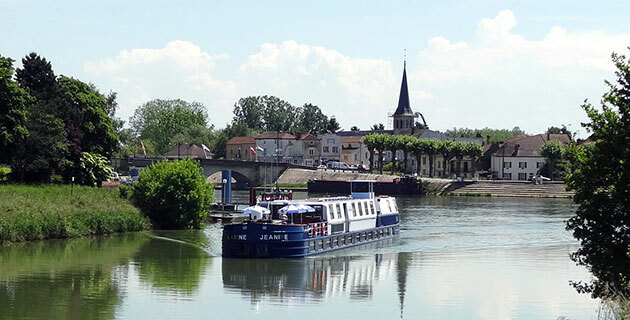 Join us aboard our privately chartered barge as we savor fine French food and wine, explore ancient villages, and tour Lyon and vibrant Paris. Any trip to Peru has to include fabled Machu Picchu, the 16th-century Inca citadel perched among forested mountainsides. But on our Treasures of Peru tour, we also encounter Peru’s enduring culture through visits with weavers, touring local markets, lunch in a private home, and a day at Lake Titicaca with the native Uros people. Select your search option then click "submit" below. I have come to expect excellence from Odysseys Unlimited and have never been disappointed. We have been to many, many places all over the world, with many different tour companies. None of them compare to the Odysseys Unlimited small group experience. The small group is wonderful and the quality of tour directors is exceptional. All that was advertised was delivered. Consider this tour to be a real value as to sites visited, itinerary, hotels, and travel between sites. Odysseys does everything with style, but without pretension. Beautiful meals and hotels. Excellent guides. Very early in the tour we saw we got much more for our dollar than anything we could have put together ourselves. The value exceeded our expectations. Good value for $ — accommodations, food, guide, itinerary, and [small] size of group. Have traveled with other tour groups ... and like you best. We like the model – small groups, excellent tour directors, solid hotels, good mix of group/independent activities. The combination of excellent hotels with a small group is the way I like to travel. I would highly recommend Odysseys to everyone I know. We love the small group experience. Odysseys is the best company we have traveled with. You have first-rate tours at affordable prices, with great itineraries, excellent guides, and outstanding accommodations. Odysseys tours are just right for us: great value, nice group size, complete trips, sufficient free time. This trip far exceeded our expectations: the small group size, the quality of the tour director (the best we’ve ever had), the ability to have dinners on our own, the lower cost without a significant reduction in the quality of the accommodations. I thought I would not like traveling in a group but I was wrong! [Our tour director] was so good at making the group seem as one that it turned out to be the best part of the trip. It was the best value in travel we’ve ever had. It was a wonderful experience. This was my 7th trip with Odysseys and they keep getting better and better. Love the small group format and the ease of traveling with arrangements made for us. Tour exceeded my expectations having never taken a group tour. An excellent experience – can’t wait for my next one! Absolutely the best bang for the buck – organization, quality, consistency. I like the small size of Odysseys tours. [You] have excellent Tour Directors, great itineraries and spend more time in areas than some of the other tour companies. Because of the group size and outstanding guides, you make travel easy for us! It’s a small group journey of astonishing beauty and consummate adventure, one that captures the magnificence of four distinct nations. It’s nature’s showcase come to life: ocean and mountains, desert and plains, waterfalls and wildlife extraordinaire. It’s Southern Africa, where diversity reigns and where visitors are welcomed as never before. Day 18: Arrive U.S. We arrive in the U.S. today and connect with our flights home. Please call if your city is not listed or for land only prices. Prices are per person based on double occupancy and include airline taxes, surcharges, and fees of $1,359, which are subject to change until final payment is made. Single travelers please add $1,595. Your $375 deposit is fully refundable up to 95 days prior to departure. All 2019 tour prices above (excluding airline taxes, surcharges, and fees) are guaranteed. Depending on flight schedules, certain U.S. cities may require a departure one day prior to the listed schedule above. A visa is required for this tour. Odysseys Unlimited will provide information about visa requirements upon reservation. The contemporary 54 on Bath hotel owns a convenient location in the heart of Johannesburg’s trendy Rosebank suburb, within walking distance of boutiques, restaurants, and art galleries. The 75-room hotel features a restaurant, bar, and lounge; outdoor pool; complimentary Wi-Fi internet access; spa treatments; and laundry and dry cleaning services (for a fee). All air-conditioned guest rooms have a private bath with hair dryer, TV, and phone. Built in 1904 and recognized as part of the exclusive Leading Hotels of the World group, The Victoria Falls Hotel sits a short walk from Victoria Falls town and offers a dramatic view over the Zambezi River’s Second Gorge. The Edwardian-style hotel is often referred to by locals as “The Grand Old Lady of the Falls,” and includes three restaurants, two bars, and several lounges; complimentary Wi-Fi internet access, laundry services (for a fee); hair salon; spa with massage treatments; library; and outdoor pool. Elegant air-conditioned guest rooms have private bath with hair dryer, fine wood furnishings, in-room safe, minibar, tea- and coffee-making facilities, TV, and phone. The desert-oasis themed Windhoek Country Club stands at the southern end of Windhoek a short walk from the city center and restaurants and shops. The 152-room hotel offers a restaurant and bar, tennis courts, and outdoor pool. Air-conditioned rooms include a private bath with hairdryer, mini-bar, in-room safe, Internet access, TV, and phone. 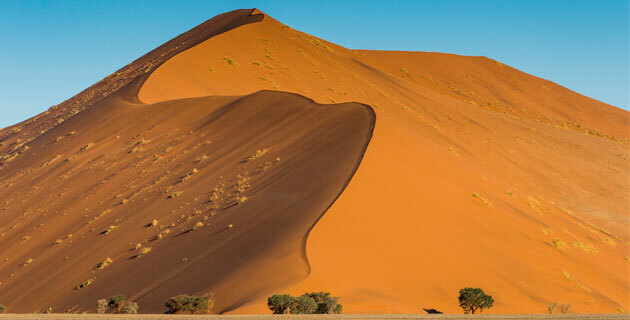 Walking distance to the sand dunes and Namib-Naukluft Park, the eco-friendly Sossusvlei Lodge uses tents to create an adobe-style atmosphere similar to that of its surroundings. The 45-room lodge offers a restaurant, bar, freshwater swimming pool, and laundry services. Guest rooms have private bath with hair dryer and in-room safe. There are no televisions and one guest phone line is available at reception. The 89-room Swakopmund Hotel, built in and around a restored historical station on Namibia’s premier coastal resort, offers two restaurants, casino, lounge, tavern bar with live entertainment, heated outdoor swimming pool, hair salon, gift shop, Internet access, and laundry and dry cleaning services. Your air-conditioned room has a private bath with hair dryer, mini-bar, TV, and phone. Standing in the heart of Victoria & Alfred Waterfront, The Table Bay Hotel provides stunning views of Table Mountain and Cape Town Harbor. Combining contemporary décor and Victorian accents, the hotel offers two restaurants, two bars, and lounge; spa with massage treatments and steam rooms; fitness center; laundry and dry cleaning services (for a fee); heated outdoor pool; and complimentary shuttle service. The 329 air-conditioned rooms have private bath with hair dryer, tea- and coffee-making facilities, complimentary Wi-Fi internet access, in-room safe, mini-bar, TV, and phone. This luxury lodge sits in the middle of the private Kapama Game Reserve, adjacent to Kruger National Park, offering an unparalleled opportunity to spot game on the African bushveld. Featuring modern African décor, the 25-room lodge has an open-sided dining room, traditional boma (grass hut), outdoor swimming pool with patio bar, internet access, gift shop, and library. Guest rooms feature picture windows and private decks, along with air conditioning, private bath with hair dryer, in-room safe, tea- and coffee-making facilities, mini-bar, and phone. Ratings are based on the Hotel & Travel Index, the travel industry standard reference. Experience the magnificence of the South African bush, Kruger National Park region, and “Big Five” game country at a unique luxury tented camp. Please see the Accommodations tab for hotel information. An unpretentious tale of an extraordinary life, Mandela’s autobiography is essential reading for an understanding of South Africa. His grace and his love for his country shine throughout. With 1,200 color illustrations by a range of experts, this compact field guide includes all the birds, mammals, reptiles, amphibians, insects, fish and plants that a traveler is likely to encounter in southern Africa. An invaluable encyclopedic guide to Africa’s mammals by a noted scientist, this perennial bestseller includes black-and-white drawings, an overview of each animal group and in-depth information. Written with the typical safari-goer in mind. This hefty practical guide to the nine nations of southern Africa, including Botswana, Namibia, Zambia, Zimbabwe, South Africa, Swaziland, Malawi, Mozambique and Lesotho, is ideal for independent travelers on a multi-country tour. This fold-out overview map of Southern Africa – including South Africa, Namibia, Botswana – is ideal for route planning. This large-scale colorful map covers the top safari countries and important wildlife reserves of East and Southern Africa. With enlargements of key regions like Northern Tanzania, Southern Kenya and Northern Botswana to Victoria Falls, the map includes information on planning your safari and climate graphs. With comprehensive coverage of history, flora, fauna and practicalities, this fourth edition presents Okavango, Chobe, the Kalahari and other popular destinations in detail. A classic study of the Bushmen of the Kalahari, novelistic in its detail. Based on the author’s fieldwork, the account is direct, informative, and strong on the character of the people and land. A succinct history of South Africa, especially strong on early Africans and European colonization. With the ease of a practiced journalist, Reader weaves a masterful and lively tale of the continent, from ancient cultures to modern times. Both authoritative and informal, this is a splendid introduction to all of Africa. Covering the epic story of colonialism in Africa, Meredith’s magisterial history depicts empire-hungry kings, missionaries, tribal warlords, mining barons – even modern multinational corporations. An expansive but entertaining read. Absorbing and meticulously researched, this in-depth history of the Victorian land grab in 19th century Africa includes excellent portraits of the egomaniacal personalities who overran the continent. Ambitious in scope, immensely readable – and as big as a doorstop – Martin Meredith’s blockbuster country-by-country overview of the tumult in Africa since independence is now revised and updated to reflect recent events. Afrikaner journalist Malan recounts his journey back to his homeland just before the collapse of apartheid. He grapples with the black and white heart of South Africa, drawing on the 300-year history of his family in Africa and legends of the Zulu nation, in this beautifully written and brutally honest story of return. The deeply moving story of Reverend Kumalo’s quest for justice. First published in 1948, it is a striking, poetic tribute to the power of the individual and a trenchant indictment of apartheid. This lush collection of full-color photographs tackles conservation, development and tradition in southern Africa. It’s a well-illustrated portrait of the region by National Geographic photographer Johns and veteran journalist Godwin. A lively account of field work, combining adventure, natural history and thoughtful commentary on the plight of the severely endangered black rhinoceros in Namibia. This commemorative 10th edition celebrates the late author with a fully revised and updated version. Edits were done by his daughter, Vanessa Newman, to reflect the latest research, taxonomy and common names. A compact guide, designed for the field, including almost all of the conspicuous species and a good sampling of the smaller or more secretive animals. A conveniently compact edition of Kingdon’s gloriously illustrated Field Guide to African Mammals. The guide includes abbreviated information on identification, distribution, ecology and conservation status and 480 outstanding color illustrations and maps. This comprehensive photo guide covers 850 birds, mammals and reptiles of Africa. With range maps and a good country-by-country overview of habitats and parks.